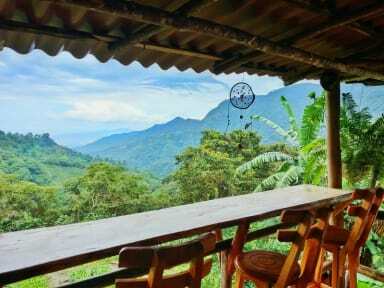 This was the best hostel i’ve been to in Colombia! The view en staff is amazing! If you like to hike, I highly recoment you to go up to Cerro Kennedy. Beautiful view over the snowy mountainpeaks of de Sierra Nevada. Beste verblijf tijdens mijn reis in Colombia! Everything you’ve read about this place is true. The food is amazing, the location and the ‘resort’ itself are beautiful and there’s a good mix of chill/social vibes. We loved our stay here and wished we could have stay longer. Great place, highly recommend! Tranquillo, good food, relaxed atmosphere. Really social place (not a party place) and easy to meet other backpackers. Paradise! 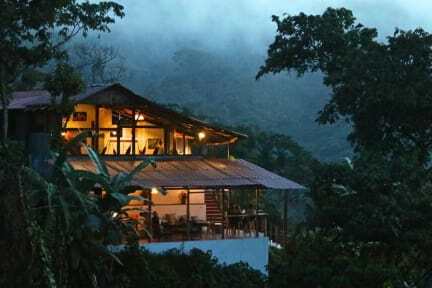 The staff deserves 11 points for just being their wonderful selves, they made my stay in Casas Viejas even better. Highly recommend the yoga classes in the morning and sunshine walk in the evening! Een van de beste plekken waar we tijdens onze reis zijn verbleven! Super locatie, eten is erg lekker, vriendelijk personeel, goede plek om te hiken, hostel is prima voor relaxen, kortom top! Super tof! Erg leuke en mooie locatie. Wel even lastig om te komen, maar een motortaxi biedt weer een spannende nieuwe ervaring ;) Oh en de koffie... best yet! Komt van de coffeefarm Victoria waar het hostel gelegen is. Erg lekker! Take enough of mosquito repelent and then you'll have a great time. Best food I had in weeks and good vibes. Loved this hostel!! The view is amazing, beds were really nice and last but not least hot showers! !